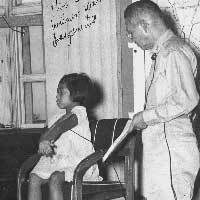 Reviewing Authority Recommendations: The Judge Advocate found it "ridiculous to presume that as an officer in the Japanese Army, or any other modern army, could not prevent the mistreatment of prisoners by his enlisted subordinates, or that he had no responsibility for their actions." The accused had recourse to remedies for restricting the behavior of subordinates which he occasionally used, but these remedies were not "pursued as accused's general rule." So, he was found guilty of command responsibility. The Judge Advocate also found that the defendant was responsible when he directly mistreated prisoners by withholding treatment and when he failed to reprimand or to report practices dangerous to the health of prisoners.